The decline of the whaling industry following the discovery of petroleum oil in Titusville, Pennsylvania in 1859 created a temporary economic vacuum in Hawai‘i. Although sugar had a relatively slow start after the initial first successful sugar plantation at Kōloa, Kaua‘i (1835,) it soon started to prosper. However, it wasn’t until the American Civil War, which virtually shut down Louisiana sugar production during the 1860s, that Hawai‘i was able to compete in a California market that paid elevated prices for sugar. It was about this time (1864) that George Norton Wilcox (known as GN,) the second son of eight boys, born in Hilo August 15, 1839 to missionary parents, Abner and Lucy Wilcox, took over the lease for Grove Farm sugar operation on Kaua‘i and quickly became its sole owner. The plantation had initially been chopped out of a large grove of kukui trees and was thereafter called the Grove Farm. Initially schooled at Punahou, he then studied engineering on the mainland at the Sheffield Scientific School, now a part of Yale University; GN was an enterprising innovator of plantation sugar culture. GN realized that his plantation lacked enough water, which is the key to successfully growing sugar. His first major innovation was the engineering and digging of an extensive irrigation ditch, in which water was brought from the mountains to his thirsty sugar fields. Many modernizing changes occurred throughout the plantation, from the construction of the innovative water irrigation system to the creation of new cultivating machinery and planting methods to the use of the first sugar cane seed planter in the islands. His Grove Farm Homestead was the center of operations for the developing sugar plantation and involved the relationship of family life, plantation activity, household work, gardening and farming which continue as a part of the experience of visiting Grove Farm today. Today, the 100-acre Grove Farm Homestead preserves the earliest surviving set of domestic, agricultural and sugar plantation buildings, furnishings and collections, surrounding orchards and pasturelands in Hawaiʻi. Grove Farm Homestead is the finest example in Hawaii of a complete plantation operation still in its original form. The estate was added to the National Register of Historic Places listings in Hawaii on June 25, 1974. The original house (pre-dated 1854; exact date unknown) started as a single story, wood frame structure with a very high pitched hip roof with very wide eave overhand which is supported by square wood posts at the eave and covers a veranda which encircles the house on three sides. To the rear of this building is a kitchen-food preparation building with access off the veranda. During a 1915 renovation of the structure (under the direction of CW Dickey,) walls were removed and large openings placed adjoining each of the three rooms creating a feeling of openness and flow from one space to another. The main estate house has two bedrooms, writing room, two bathrooms and a library on the first floor. A grand staircase leads up to the second floor which has more bedrooms. Behind the main house is a hexagonal gazebo styled after a Japanese teahouse, built in 1898. To the south is a guest cottage divided into two living areas, built around 1890. Another single story cottage was built in 1877 for GN Wilcox, and an office building was built in 1884. A number of support buildings include a tool shed (dated 1870,) a garage and a number of small, single-story, wood-frame plantation workers’ houses. The plantation buildings reflect a style adaptive to climatic conditions in the area (wide veranda, high pitched roofs), while the main house is a unique reminder of the 1850s renovated into the 20th Century. 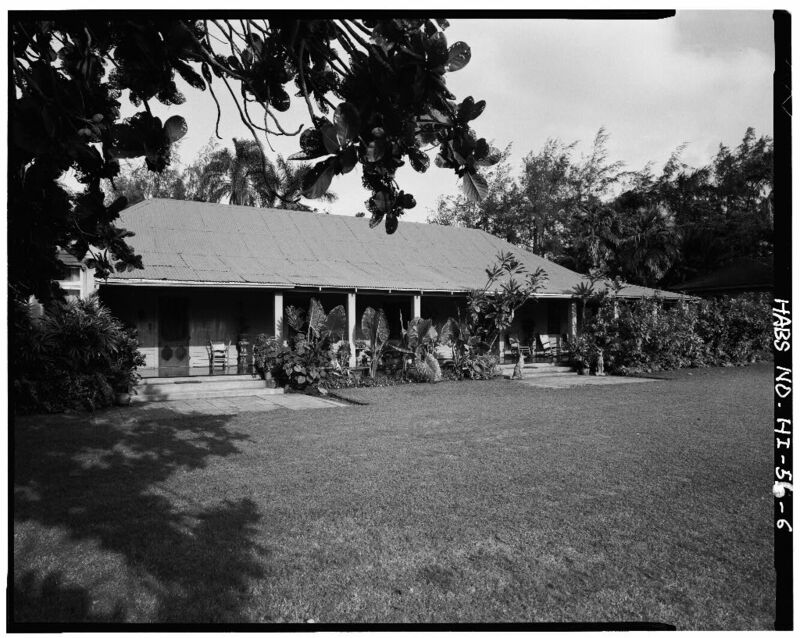 Historically, Grove Farm Homestead is of great importance to Hawai‘i. 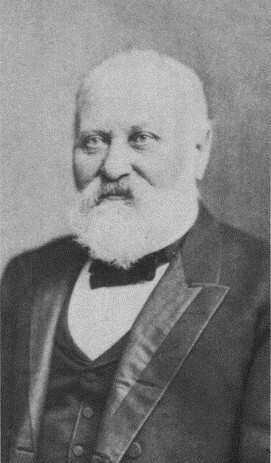 It was developed under the direction of George N. Wilcox, one of the most important men in Hawaiʻi from the 1860s to 1933, when he died at the age of 93. GN Wilcox was not only a plantation owner; he was also an engineer, statesman, businessman and a world traveler. More importantly, he was also a philanthropist and humanist, who left an extensive legacy of endowments and public donations behind him. The main house is now a private museum with tours by appointment. Advance reservations are required for an unhurried two-hour guided tour of the buildings, gardens and grounds at Grove Farm. Tours are given in small groups and are led by Kaua‘i residents familiar with life on the island, and are offered on Mondays, Wednesdays, and Thursdays, beginning promptly at 10 am and 1 pm. There is a $20 requested donation for adults and $10 for children 5-12 years old. A few decades ago, I had the opportunity to have a private tour of the Grove Farm Homestead with Barnes Risnik, then manager of the Grove Farm Homestead Museum. That was an awesome and memorable experience. The image shows the original home and veranda. In addition, I have included other images of the Grove Farm Homestead in a folder of like name in the Photos section on my Facebook and Google+ pages. One such ship was the USS Saginaw, the first naval vessel built at the Mare Island Naval Shipyard in Vallejo, California in 1859. She was a 155-foot wooden side-wheeler that was powered by sails and steam engines. The new side-wheel ship sailed from San Francisco Bay on March 8, 1860, headed for the western Pacific, and reached Shanghai, China in mid-May. She then served in the East India Squadron, for the most part cruising along the Chinese coast to protect American citizens and to suppress pirates. Over the next few years, the Saginaw worked in other parts of the Pacific, from Alaska to Mexico. In 1870, she was assigned to Midway Atoll, where a coal depot in support of transpacific commerce was to be built. For six months, she served as a support vessel for divers as they labored to clear a channel into the lagoon. Then, in October 1870, she sailed for San Francisco, but, as was the practice, she first sailed to Kure Atoll en route home to rescue any shipwrecked sailors who might be stranded there. As she neared this rarely visited island, Captain Sicard navigated his ship cautiously through heavy swells under reduced sail. The moon had set, but they did not expect to be within range until daybreak. At 3:15 am, waves were observed breaking ahead of the ship. The captain ordered the sails taken in and engines reversed but within minutes the Saginaw struck an outlying reef and grounded. Before the surf battered the ship to pieces, her crew managed to transfer much of her gear and provisions to the island. At daylight, the ship’s boats were lowered, and the crew of 93 men made their way across the reef to Green Island as the Saginaw broke apart and sank beneath the waves. One last match was used to start a fire. Short rations were a concern, but even more critical was the limited amount of fresh water. In such a remote location, the captain and crew could not count on a passing ship to save them. They fashioned the captain’s 22′ gig into a sailboat and five volunteers, headed by Lieutenant John G. Talbot, the executive officer, set off for Kauaʻi, nearly 1,200-miles away. The others were Coxswain William Halford, Quartermaster Peter Francis, Seaman John Andrews and Seaman James Muir. December 19, 1870, thirty-one days later, they reached Kauaʻi. There, after 1,200-miles in a tiny boat, the 5-member crew suffered unfortunate losses. Coxswain William Halford managed to pull James Muir ashore, but Muir died on the beach. All but Coxswain William Halford had died. Within hours of Halford’s arrival, the schooner Kona was dispatched for Kure. He was brought to Oʻahu and the US Consul there. 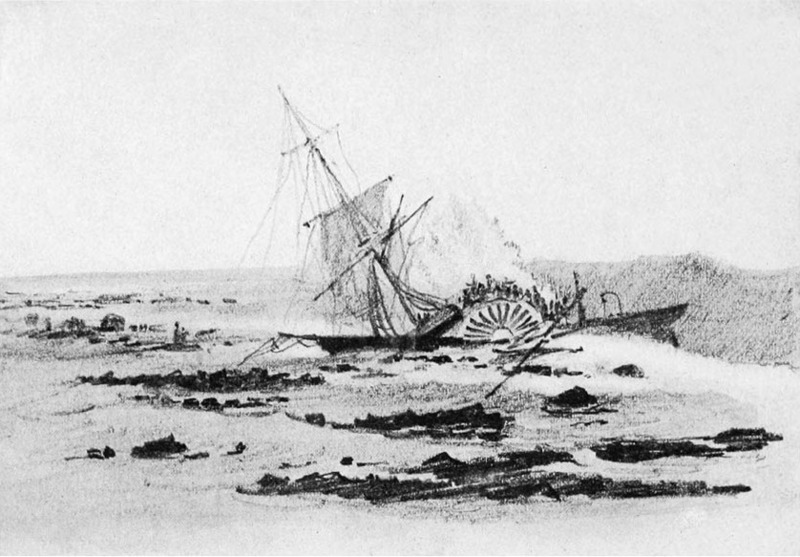 King Kamehameha V subsequently sent his steamer the “Kilauea” to rescue the shipwrecked sailors, which arrived sixty-eight days after the shipwreck. All of them survived on monk seals, albatrosses and rainwater. Halford received the Medal of Honor for his bravery; he retired in 1910. The 22-foot boat that carried the five heroic crew members now lies in the Castle Museum in Saginaw, Michigan. In 2003, a team of maritime archaeologists discovered features of the wreck site inside the lagoon at Kure Atoll. A few days later, divers came across a portion of the wreck site that included two cannon, two anchors, a gudgeon and several small artifacts such as sheathing tacks and fasteners. Later, a team of maritime archaeologists returned to the site and discovered dozens of new artifacts including bow and stern Parrott rifled pivot guns, 24-pdr broadside howitzers, steam oscillating engine, port and starboard paddlewheel shafts, rim of paddlewheel, anchors, brass steam machinery, boiler tubes, rigging components, fasteners, rudder hardware, davits and a ship’s bell. In 2008, a team returned to the site to continue survey. And, with plans to develop a maritime heritage themed exhibit at the Monument’s Mokupāpapa Discovery Center in Hilo, NOAA maritime archaeologists obtained the appropriate permits to recover the USS Saginaw’s ship’s bell for conservation and display. The 2008 team documented additional artifacts, and collected additional still photographs and the first high definition video footage of the site. The ship’s bell and deep sea sounding lead now reside at the Mokupāpapa Discovery Center in Hilo. In addition, I have posted other related images and maps on the Saginaw in a folder of like name in the Photos section on my Facebook and Google+ pages. What we think of today as the “Royal Hawaiian Hotel” actually is the second hotel of like name (the first one was in downtown Honolulu – the location of the State Art Museum and office) and, the site of the present Royal Hawaiian used to be the home of the Seaside Hotel. But there was a link between the site and the hotel’s name. In the 1890s, the Seaside Hotel was a beach annex to the Royal Hawaiian Hotel located at Richards and Hotel streets. There is now another “Seaside Hotel” in Waikīkī, but that’s different from the hotel we are discussing here. That other “Seaside” was built in 1970 and has been used by United Airlines as a perk for employees and company retirees. This Seaside was really on the water and until the Royal Hawaiian took its place, it was one of the earliest hotels in Waikīkī. In 1907, the Seaside Hotel opened on the property, and was later acquired by Alexander Young’s Territorial Hotel Company, which operated the Alexander Young hotel in downtown Honolulu. In 1924, the Seaside Hotel’s lease of the land at Helumoa was soon to expire and the land’s owners (Bishop Estate) put out a request for proposals to build a hotel. Matson Navigation Co. had big plans to build luxury ocean liners to bring wealthy tourists to Hawaiʻi. But, they needed a hotel equally lavish at Waikīkī. Soon Matson’s luxury ocean liner and its 650 wealthy passengers would be arriving in Honolulu every two weeks and the two largest hotels, the Alexander Hotel and the Moana, could not accommodate all of them. The availability of the Bishop Estate land began putting wheels into motion. In March 1925, William Roth, Manager of Matson Navigation Company, his wife Lurline (whose maiden name was Matson) and Mrs. William Matson, the widow of the founder of Matson Navigation Company, arrived in Honolulu for a three-week stay so that Roth could attend the annual Matson conference. Famous New York-based architect Charles V. Wetmore also arrived in Honolulu at the invitation of Matson Navigation Company leadership. Castle & Cooke, Matson Navigation and the Territorial Hotel Company successfully proposed a plan to build a luxury hotel, with 400 rooms, at a cost of $2 million on the parcel of Waikīkī beach to be leased from the Bishop Estate. The ground-breaking ceremony took place on July 26, 1925, before a building permit was issued or a contract was signed with the building contractor, Ralph Wooley. By the time the contract was executed on September 5, 1925, some three hundred men were already at work. The building permit still was not signed by August, and the City withheld granting it unless the building codes were first revised (high rises were not, then, permitted.) The planning commission did not want to revise the building code to allow high rises on Waikīkī beach. The City and County Board of Supervisors disregarded their concerns and allowed the increase in heights. This would forever change the landscape of Waikīkī, as the decision also allowed much taller highrises to be built in the area. The opening of the Waikīkī Royal Hawaiian on February 1, 1927, ushered in a new era of luxurious resort travel to Hawai‘i. The six-story, 400-room structure was fashioned in a Spanish-Moorish style, popular during the period and influenced by screen star Rudolph Valentino. 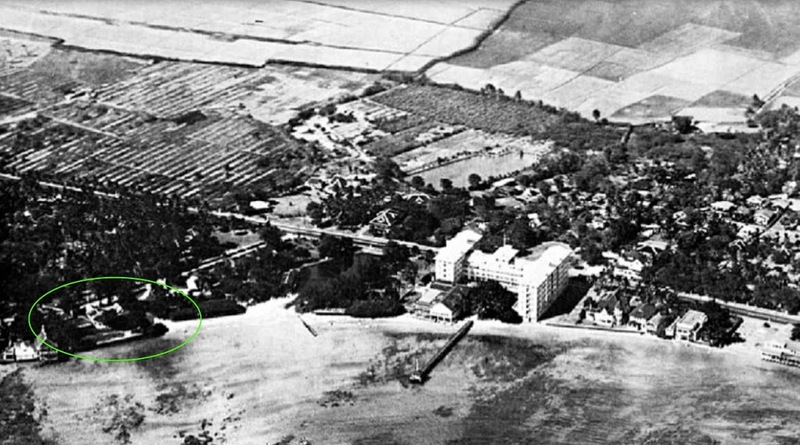 The 1920 image shows the location of the original Seaside Hotel (and subsequent Royal Hawaiian Hotel in Waikīkī.) In addition, I have added other related images in a folder of like name in the Photos section on my Facebook and Google+ pages. This seeming disaster turned into a new industry for Honolulu and proved to be the foundation of his subsequent business and of his fortune. The combined crews (totaling 57) made it safely to one of the small islands and were castaway for months with what meager provisions they could salvage. He and the crew built a small schooner (the Deliverance) from the wreckage and the survivors of the wreck sailed back to Honolulu to remain permanently. After his arrival, Robinson was befriended by Kamehameha II and John Young. He and a ship-mate, Robert Lawrence (a cooper (barrel maker,)) sold the Deliverance for $2,000 and found employment in repairing schooners owned by the king and chiefs. In mid-September 1830, Joseph Elliott moved to The Point to open a hotel with Robinson. Lawrence and Holt, Robinson’s partners, appear to have specialized in the hotel and liquor business, which also featured a boarding house. The Shipyard Hotel had the advantage of being a “first chance – last chance” operation. Years rolled on, and the firm of James Robinson & Co. (including Robert Lawrence and Mr. Holt) was a significant success and carried on a business that employed a large number of ship-carpenters and caulkers. 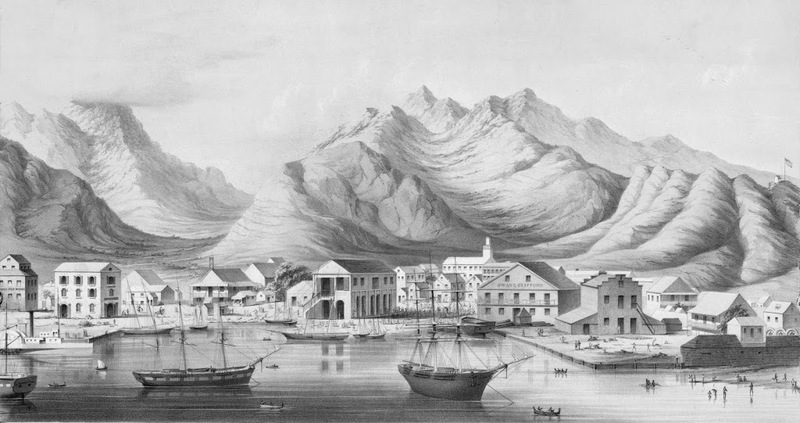 More whaling ships were repaired at their establishment than at any other in the Pacific. This partnership lasted until 1868, when Mr. Lawrence died. For many years their building was one of the sights of the town, being decorated with the figurehead from an old vessel. Robinson became so wealthy; reportedly, he lent substantial funds to the Hawaiian government during the 1850s and maintained a close relationship with the kingdom’s leaders until his death in 1876. Hawaiians called him Kimo (James) Pakaka as Honolulu Harbor grew up around his shipyard. In 1843, James Robinson married Rebecca Prever; they had eight children: Mark, Mary, Victoria, Bathsheba, Matilda, Annie, Lucy and John. Mr. Robinson died at his residence in Nuʻuanu valley August 8, 1876. However, his legacy lived on through his children. His descendants became a well-known island family and his fortune founded the Robinson Estate. His son, Mark, was a member of Queen Liliʻuokalani’s cabinet (Minister of Foreign Affairs) during the chaotic last months of the monarchy as factional battles separated the royal government. He was a founder of First National Bank of Hawai’i and First American Savings. Daughter Victoria married a Ward. Their residence was known as Old Plantation, and included the current site of the Neil F. Blaisdell Center. Her estate, Victoria Ward Ltd, had other significant holdings in Kakaʻako. Daughter Mary married a Foster. Her husband Thomas Foster was an initial organizer of the Inter-Island Steam Navigation Company. That company founded a subsidiary, Inter-Island Airways, that later changed its name to Hawaiian Airlines. Foster had also purchased the estate of the renowned botanist William Hillebrand, which was bequeathed to the city as Foster Botanical Garden at the death of his wife Mary.